When the lift line gets old, the true powder junkies go bold. Scout new terrain and find your own personal pockets of paradise on the Rome Whiteroom Splitboard. Stiffened up for superior response with a double dose of carbon rods, this splitty thrives on sending it down locals-only lines. SinterStrong sidewalls dampen vibration and add durability for a smooth and reliable vehicle for the vertical. 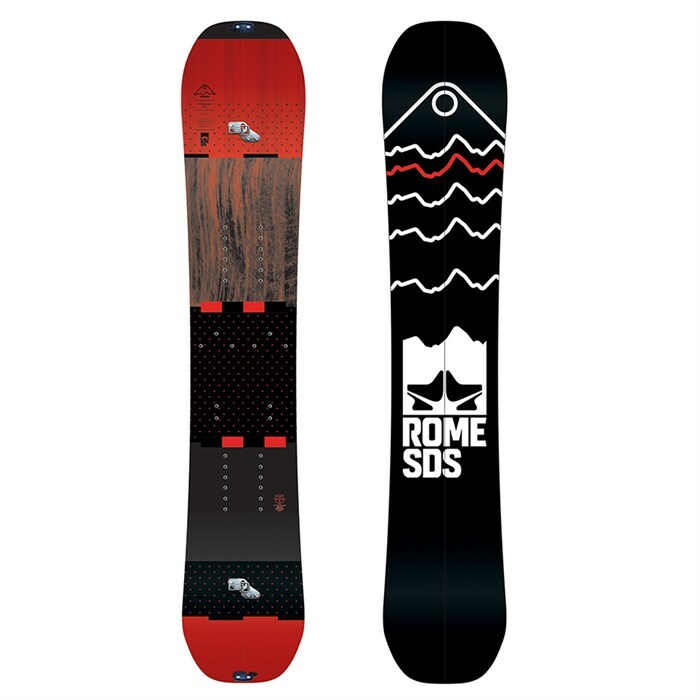 Flourish in the fresh on a high tech backcountry machine with the Rome Whiteroom Splitboard. Powder S Camber  A rockered nose paired with camber from the mid-body to the tail delivers float and glide up front with slashing power in the tail. Float into deep pockets and explode out for white room fun. 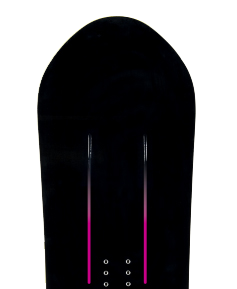 Directional  These shapes are ideal for all-mountain, freeriding, and powder riding. AirPop Core Matrix  Rome lays five zones of low-density, ultra light wood into a matrix to reduce weight and make a responsive ride. 45/90 Hybrid Laminate  This laminate drives an all-mountain freestyle feel by combining the high response of 45 degree fibers with more playful and finesse-oriented 90 degree fibers. 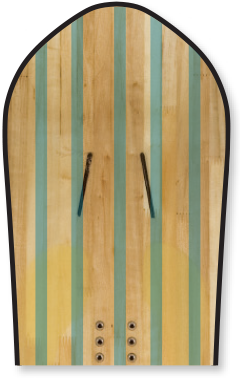 Carbon Double Barrel Pattern  This configuration features two rods that start under both bindings and extend in straight lines towards the tip and tail. The result is a double dose of straight-line pop, increased torsional resistance, and more kick. Hot Rod Technology  Reinforcement rods deliver extra power to the areas of the board where it's needed most. SinterStrong Sidewalls  Sintered sidewalls increase strength against impacts by being more elastic than traditional sidewalls while dampening vibrations for a smoother overall ride. SinterSpeed Base  Enjoy high levels of speed thanks to a solid does of wax absorbing power from this sintered base.